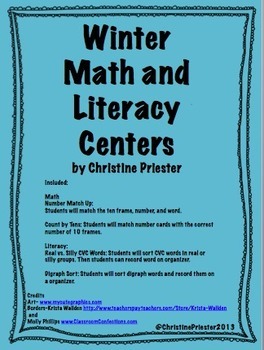 Four easy to prepare centers! Students will match the ten frame, number, and word. Count by Tens: Students will match number cards with the correct number of 10 frames. 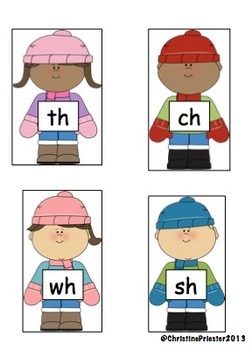 Real vs. Silly CVC Words: Students will sort CVC words in real or silly groups. Then students can record word on organizer. 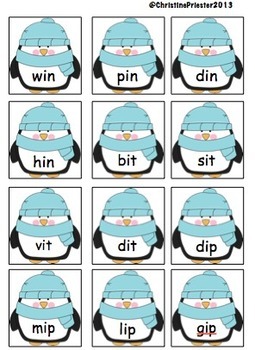 Digraph Sort: Students will sort digraph words and record them on a organizer.